Cellular respiration catabolizes food molecules to produce ATP. A glucose molecule was imported into the cytosol of a human cell. Which catabolic process can this glucose molecule immediately enter? A. increase when lactose is present. B. decrease when lactose is present. C. decrease when glucose is present. D. increase when glucose is present. Which statement explains what aerobes use oxygen to do? I am raising a populationof Halloween cats - they have either black tails or orange tails. tail color is determined by a single gene with only two alleles: B is for a black tail and black is dominant; b represents the allele for the recessive trait, an orange tail.In a population of 200 cats, 32 of the cats have an orange tail. Assuming Hardy-Weinberg equilibrium, what is the frequency of homozygous recessive individuals in the population? In rabbits, the allele of the gene for short hair (S) is dominant over the allele for long hair (s) and the black hair (B) is dominant over brown hair (b). The hair color and hair length genes are on separate pairs of chromosomes. For a cross between a SsBb and a ssBb rabbit, what are the expected genotypes and phenotypes in the offspring? A. The RNA polymerase can bind to either strand. B. Only one strand actually carries the genetic code for a particular gene. C. Each gene possesses an exact replica that can be used should a mutation occur. D. A gene transcribed in the 5' to 3' direction on one strand can be transcribed in the 3' to 5' direction on the other strand. A. the RNA polymerase moves along the DNA in the 5' to the 3' direction. B. the 3' end of the RNA molecule is produced first. C. an RNA polymerase must first bind to a promoter sequence. D. transcription is always initiated at a "start codon"
According to Chargaff's rules, if a genome is 30% adenine, then what percentage of the genome should be thymine? Which of the following is NOT true regarding the differences between gene transcription in eukaryotes and prokaryotes? A. Most eukaryotes use multiple transcription factors rather than single transcription factors. B. Most eukaryotes have regulatory sites that are close to their promoters. C. Prokaryotic transcription factors usually interact directly with RNA polymerase while eukaryotic transciption factors do not. D. Most prokaryotes transcribe multiple genes under the regulation of a single operon. E. Eukaryotic transcription factors promote remodeling of the chromatin while prokaryotic transcription factors do not. What would be the limiting factor for ATP production by glycolysis in a strenuously-exercising muscle that lacks lactate dehydrogenase? Under conditions of high glucose and high lactose concentration, what will happen to the levels of β-galactosidase? A. Essentially no β-galactosidase will be produced. B. It depends on what other sugars are present in the growth medium. C. High levels of β-galactosidase will be produced. D. Moderate levels of β-galactosidase will be produced. Individuals whose genotype is represented by the alleles Aa are described genotypically as _____. 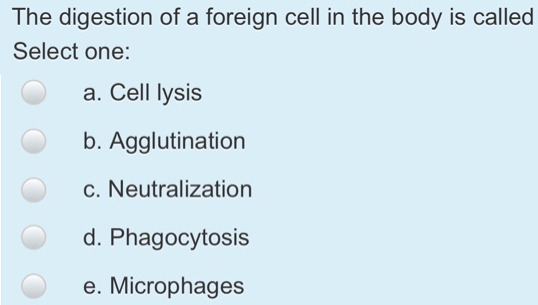 Which of the following scenarios will result in gene activation? A. Expression of a repressor increases. B. A ligand promotes binding of a repressor to DNA. C. An activator is degraded. D. A ligand promotes binding of an activator to DNA. Which of the following is NOT an end-product of a gene? Rod cells in the retina on the back of the eye serve what function? A. It is composed of three separate α-helices that coil around each other. B. The triple helix is stabilized by ionic bonds that occur between different strands of the helix. 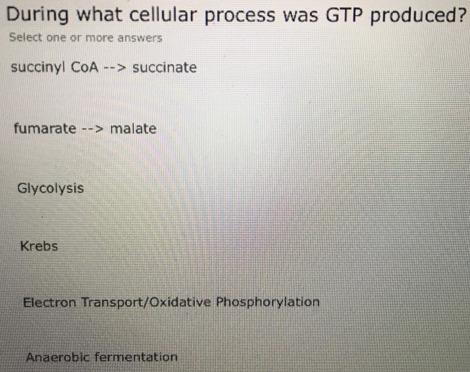 During what cellular process was GTP produced? Select one or more answers. Which restriction enzyme(s) would you choose to clone the DNA of interest into the cloning vector? The mRNA sequence belowcodes for part of a protein. The reading frame for the translation of this mRNA starts with the first three nucleotides as shown. A. What would be the consequence of the insertion of an A after the third nucleotide of the sequence? B. What would be the consequence of the deletion of the C at the beginning of this sequence? Sickle cell anemia is caused by the deleterious HS allele. The WT allele is the HB allele. In a population of 200,000 individuals, the observed frequency of HSHS is 0.0023, HBHB is 0.7560, and HSHB is 0.241. How many are the heterozygous individuals? Human blood type is determined by three alleles IA, IB, and IO. The alleles IA and IB are co-dominant to each other, and both are dominant to IO. Within a large, randomly mating population (640,000 individuals), the frequencies for the blood type alleles are 0.3 for the IA allele, 0.6 for the IO allele, and 0.1 for the IB allele. Calculate the expected numbers of people in the population having blood type O. A new kind of orchid is produced that develops only purple or pink flowers. Assume that flower color is controlled by a single-gene locus and that the purple allele (C) is dominant to the pink allele (c). A random sample of 1320 orchids from a large cultivated field yields 1.167 purple flowers and 153 pink flowers. What is the frequency of the pink allele in this field population?